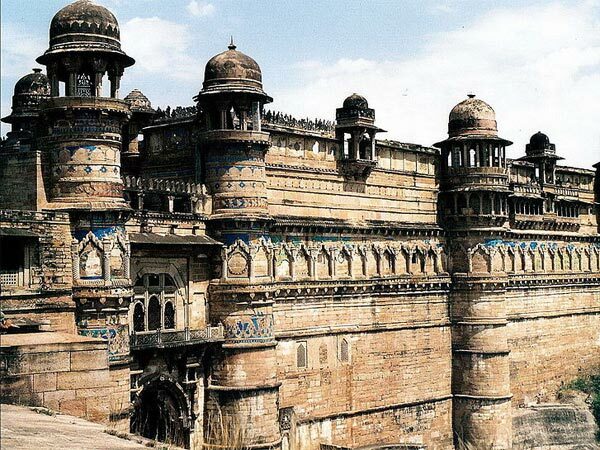 The city of Gwalior in Madhya Pradesh is gleaming with the history of many powerful rulers and dynasties, which can be witnessed till date in the form of the numerous forts and palaces that stand testimony to the rich heritage. The city has witnessed the reign of the Tomars, Mughal Empire, Marathas and finally the Scindias. This cultural capital of Madhya Pradesh attracts innumerable tourists every year. Tansen, who was a great singer in the court of King Akbar, was born in this city. Therefore, Tansen Music Festival is a 4-day celebration that takes place every year in Gwalior, during November or December. Such a beautiful city is located about 363 km from Delhi which takes 7-8 hours to be covered, making it a fantastic place to visit over a weekend. Here are the places to visit on the way to Gwalior. A lesser-known fact about Noida is that it is short for New Okhla Industrial Development Authority. It is in fact a planned city that is located about 47 km from Delhi. Some interesting places that you can visit in this region include World of Wonder amusement park, ISCKON Temple, Stupa 18 Art Gallery, to name a few. Although a little off-route, Agra is a must visit if you have never visited this glorious city that is home to the world-famous Taj Mahal. Settled on the banks of river Yamuna, Agra is a UNESCO World Heritage Site that is one of the most popular tourist destinations of India. You simply cannot miss the Agra Fort, Fatehpur Sikri, Akbar's Tomb, Jama Masjid and of course, the Taj Mahal out of the numerous other places of interest in Agra. Located just before Gwalior, at a distance of about 40 km, is the town of Morena. If you happen to stop at this town, don't forget to try the local sweet dish called gajak. Visit National Chambal Sanctuary, an area that protects critically endangered species of red-crowned roof turtle, gharial, which is a fish-eating crocodile, and Ganges river dolphin. Other places to visit in Morena are the Bateshwar temples, Pahargarh Caves, for the paintings, Kakan Math Temple, Sabalgarh Fort, etc. The fort that crowns the city, giving a wonderful panoramic view of Gwalior, is the infamous and magnificent Gwalior Fort. This hill fort was built by Man Singh Tomar in the 8th century. It is made of two main palaces namely, Gujari Mahal and Man Mandir and was built as a defensive structure. Within the fort, there are many buildings, such as Karan Mahal, Vikram Mahal, a museum, Jain temples, etc. This 19th century structure is a fabulous palace that was built by the Maharaja of Gwalior, Jayajirao Scindia, in a European style of architecture. It continues to remain the residence of the king's descendants, but is open for visitors as well. This huge palace is built in a combination of Tuscan, Italian-Doric and Corinthian styles of architecture which makes it a classic European structure. Ticket price for Indian visitors is Rs 60 and Rs 350 for foreign visitors. Also known as Gandhi Zoo, the Gwalior Zoo is an ideal attraction for the whole family since it is home to various species of animals and birds. It has a white tiger, spotted deers, monkeys, bears, etc. The zoo opens at 8 am and closes by 6 pm while it remains closed on all Fridays. The zoo is in fact part of an enormous garden called Phool Bagh, which also consists of a Gurudwara, a mosque and a prayer hall. The Sun Temple in Gwalior is an exact copy of the famous one in Konark and was built by the Birla Group. Dedicated to Sun God, the temple was built recently and is now a popular pilgrim destination for those who worship Sun God. Its premises are maintained very neatly and it is blissful to visit the temple. Due to its rich history, Gwalior is home to many beautiful tombs that were built for many rulers and important warriors. Chhatris of Scindia is a burial ground for all the Scindias, such as Vijayaraje Scindia, Jivajirao Scindia, etc., who ruled the city. Tansen's Tomb, Gaus Mohammad's Tomb and Rani Lakshmi Bai's Tomb are other places you must visit in Gwalior.